Take boat trip inside the World Natural Heritage Halong Bay, tourists will freely imagine and fly with hundreds of limestone islands and islets with exotic shapes. 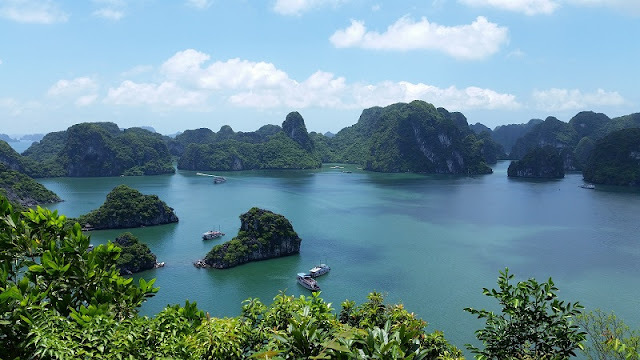 Halong Bay is located in North-East region of Vietnam including the sea and islands areas of Ha Long City, Cam Pha and a part of Van Don island district of Quang Ninh province. Ha Long Bay has twice been claimed by UNESCO as a world natural heritage of aesthetic value (1994) and the value of geology and geomorphology (2010). In addition to the spectacular cave system, visitors can be attracted by the Bay of thousands diverse islands and islets. With 2,000 islands with 980 named. Most of them called by shapes. 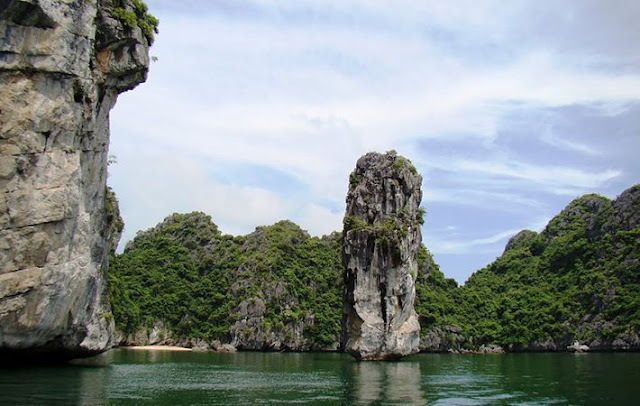 The most famous “Trong Mai” islet and “Ga Choi” islet, has become one of the symbols of Ha Long Bay tourism in particular and Vietnam in general. Located in the southeast of Ha Long bay, “Con Coc” islet with a shape of frog waiting for rainfalls. Near “Con Coc” islet, taking 30 minutes by boat, you’ll find out a giant pen rocks emerging in the middle of the ocean. It is the”But” islet. 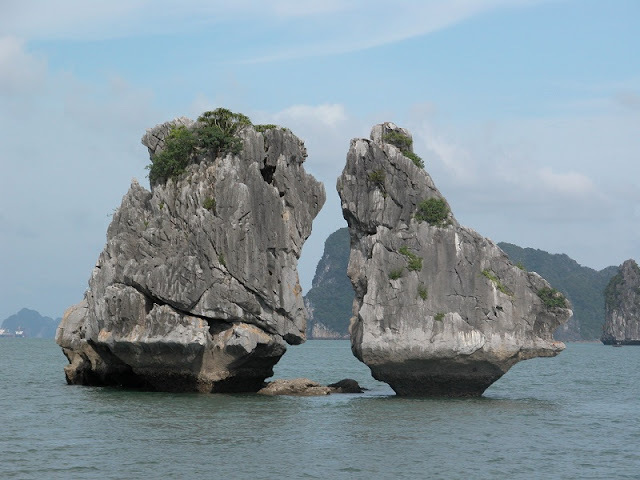 Located in southwest of “Dau Go” Cave, “Dinh Huong” islet look like a giant incense burner. Visitors can freely imagine when looking at the diverse shape of islands and islets lying peacefully inside the bay. 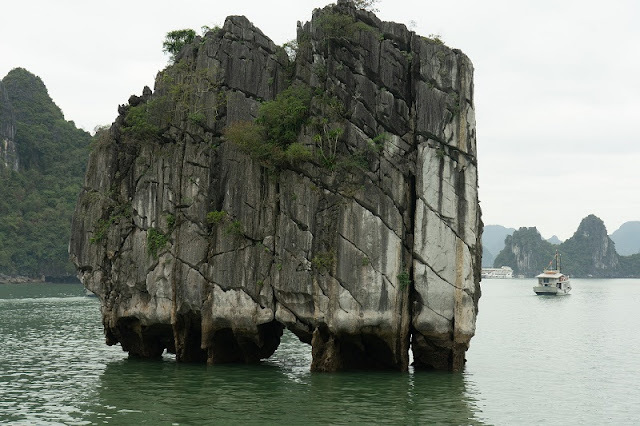 Ha Long Bay as a result of long geological evolution process. Visitors not only admire the wonders of the world but also a precious geological museum are reserved 300 million years. 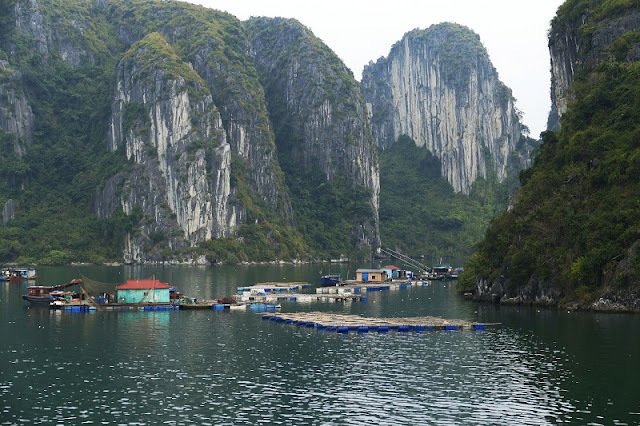 Ha Long Bay is also home to many coastal fishing villages such as Cua Van, Vung Vien … Not only is inhabited by a people of the sea parts, the fishing villages also atract tourists by its simple and natural beauty. To visit Ha Long Bay, visitors can book Halong Bay cruise tours, there are many different itineraries and yachts from 3 stars to 5 stars depending on your needs.